Lavender compound linalool must be smelled and not absorbed in the lungs for its calming effects, according to a study of mice. The lavender compound linalool has been used to relieve stress and anxiety disorders but researchers found it's not because it is absorbed into the bloodstream via the airway. The findings were published Tuesday in the journal Frontiers in Behavioral Neuroscience. The flower and the oil of the herb are used in pharmaceutical products and as a fragrance ingredient in soaps, cosmetics, perfumes, potpourri and decorations, according to WebMD. Lavender is commonly used to treat anxiety, restlessness, insomnia, depression, headache and pain. 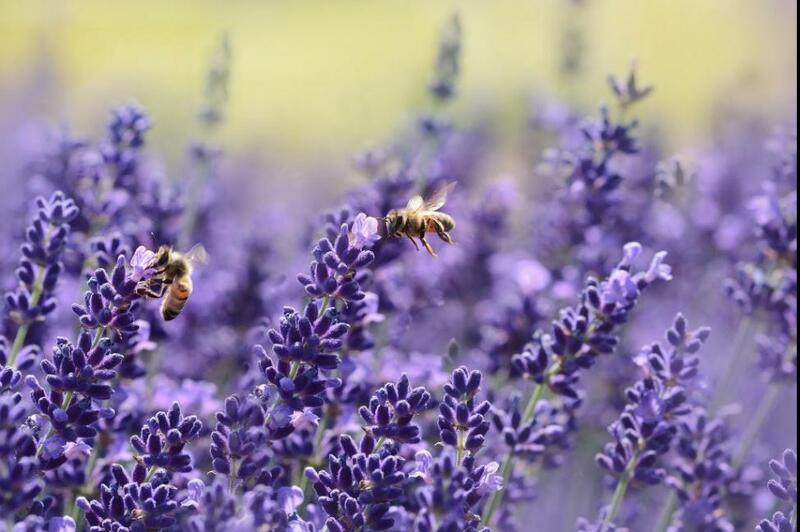 The researchers said there are promising medical uses of lavender but additional research is needed before human trials are conducted on the sensory benefits of lavender extract. "These findings nonetheless bring us closer to clinical use of linalool to relieve anxiety -- in surgery for example, where pretreatment with anxiolytics can alleviate preoperative stress and thus help to place patients under general anesthesia more smoothly," co-author Dr. Hideki Kashiwadani of Kagoshima University in Japan said. "Vaporized linalool could also provide a safe alternative for patients who have difficulties with oral or suppository administration of anxiolytics, such as infants or confused elders." Research has found the the extract can be as effective as benzodiazepines, a class of drugs that include Xanax and Valium, to threat anxiety. The researchers said it had been thought lavender affected brain cell receptors such as GABAARs, which also the target of benzodiazepines. "In folk medicine, it has long been believed that odorous compounds derived from plant extracts can relieve anxiety," Kashiwadani said. "However, the sites of action of linalool were usually not addressed in these studies." They tested mice to see whether the smell of linalool triggers relaxation. "As in previous studies, we found that linalool odor has an anxiolytic effect in normal mice," Kashiwadani said. "Notably, this did not impair their movement." In contract, benzodiazepines' effects on movement are similar to those of alcohol. They found no anxiolytic effect in mice whose sensory neurons have been destroyed. And the anxiolytic effect in normal mice disappeared when they were pretreated with flumazenil, which blocks benzodiazepine-responsive GABAA receptors. "When combined, these results suggest that linalool does not act directly on GABAA receptors like benzodiazepines do -- but must activate them via olfactory neurons in the nose in order to produce its relaxing effects," Kashiwadani said.